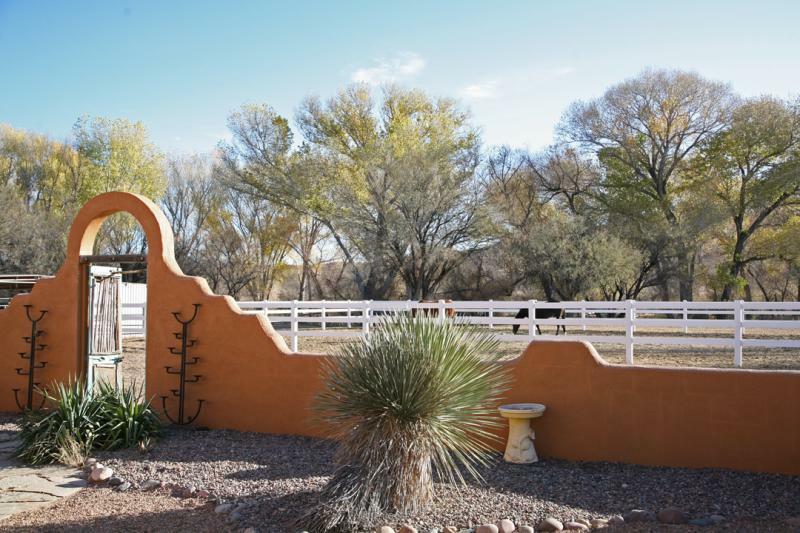 Situated on five tranquil acres within the San Pedro National Riparian Conservation Area, the Lazy Dog Ranch offers a relaxing escape from civilization. 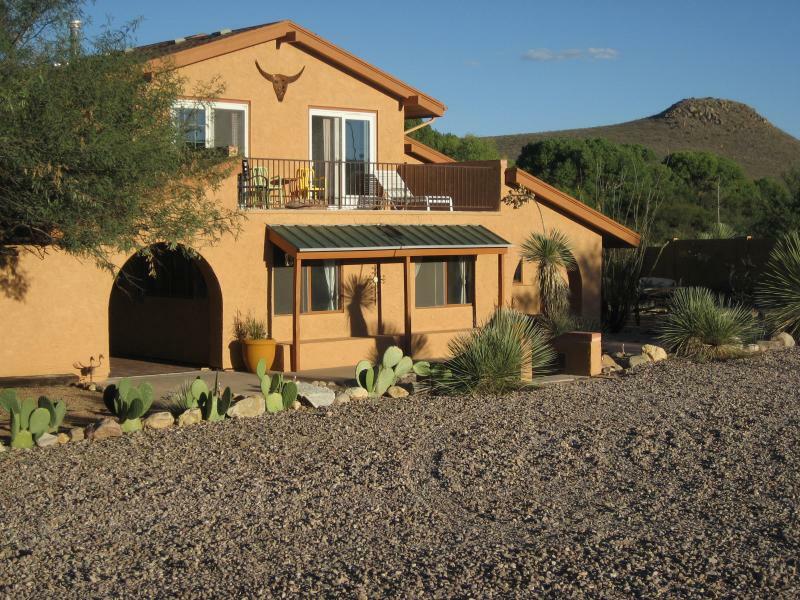 Just outside of Sierra Vista, and a short drive to Tombstone, our bed and breakfast offers a perfect base from which to explore this intriguing corner of southeastern Arizona. Relax in one of two private suites, then stroll down to the San Pedro River to enjoy a look at one of the last free-flowing rivers between Texas and California. The San Pedro River is an international treasure. Stretching from the Arizona-Mexico border to connect with the Gila River just north of Tucson, the San Pedro was named one of the world's "Last Great Places" by the Nature Conservancy. Over 100 species of birds call this place home, while another 250 species choose to vacation here. Surrounding the river are more than 56,000 acres that make up the San Pedro National Riparian Conservation Area. Created by an act of Congress in 1988 to protect the rare and fragile Fremont Cottonwood/Gooding Willow forest, the land within the conservation area dates back to the time of the Spanish explorers. This is a land rich in natural and cultural history, with a number of great hiking trails from which to discover the remains of old mining towns, a Spanish fort, native american petroglyphs, and even the evidence of a mammoth kill site, dating back 13,000 years. Bird-watchers will find unparalleled opportunities--from majestic Blue Herons nesting in the forest canopy lining the San Pedro River, to Nighthawks hard at work in the evening. The resident Vermilion Flycatcher and Gambel's Quail provide endless entertainment for our guests. Other favorites include the Greater Roadrunner as well as the many hummingbirds found throughout the gardens--over 15 species of hummers have been sighted in the Sierra Vista area! 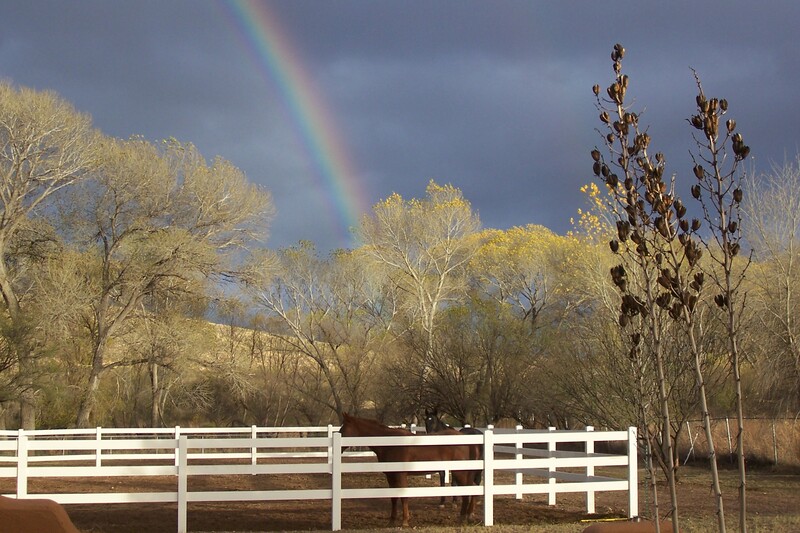 Lazy Dog Ranch is Pet friendly! Our bed and breakfast welcomes dogs of any size. Your canine companion will enjoy two and half enclosed acres on which to run free, not to mention the riverfront frolicking with our resident dogs.